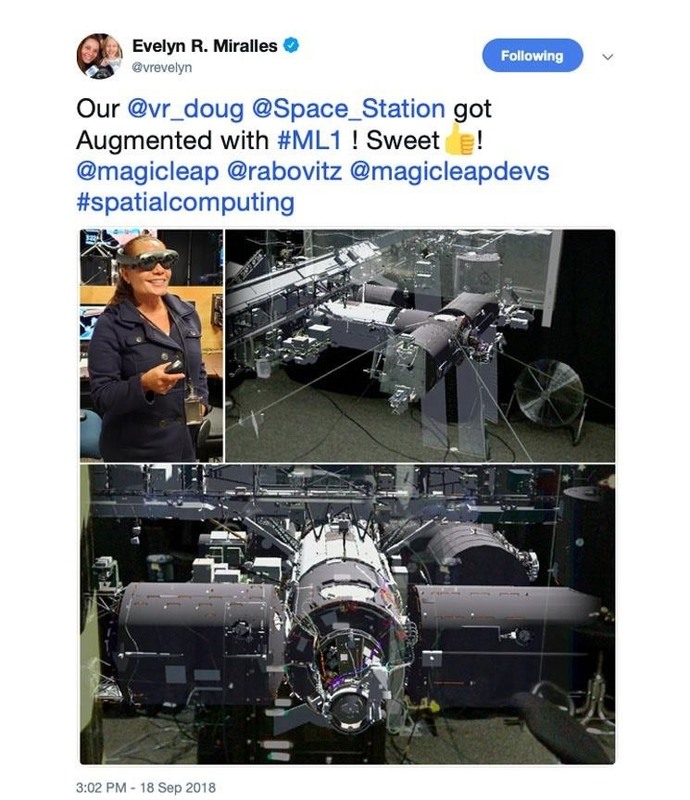 On Tuesday, European Space Agency astronaut Luca Parmitano took to Twitter to show himself and fellow crew member Andrew Morgan (representing NASA) using the Magic Leap One to train an upcoming mission. "[Morgan] and I are using augmented reality to prep for an EVA run," wrote Parmitano, who will serve as the new commander of the ISS during his next mission. "Through the holographic lenses we can see the ISS and the equipment we'll working with." The mission is called Beyond (aka Expedition 60/61) and will involve experiments that require the astronauts to engage in Extravehicular Activity (EVA), during which the crew will have to wear their space suits, officially called their Extravehicular Mobility Units. In years past, NASA astronauts have primarily used underwater environments to simulate the effects of spacewalks before missions, but since the development of immersive computing technology like AR and VR, NASA has added virtual objects to the training regimen. 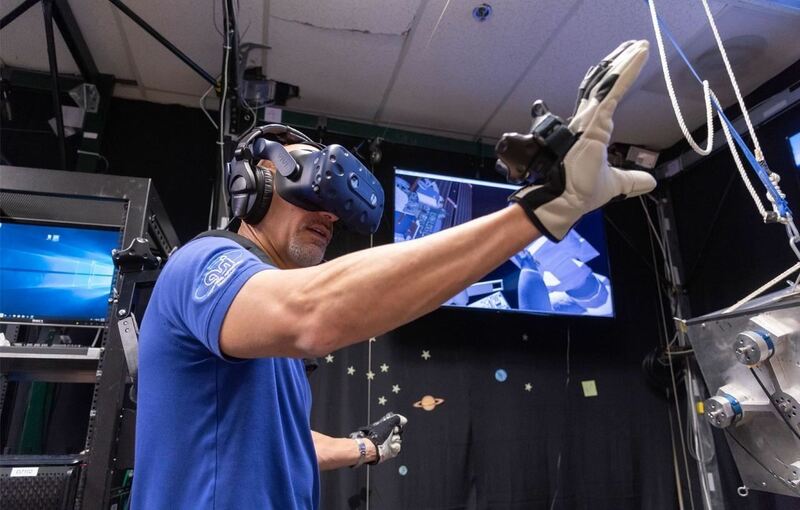 NASA has even dedicated an entire facility to its virtual training by creating the Virtual Reality Laboratory at NASA's Johnson Space Center in Houston. The lab, which is led by chief engineer Evelyn Miralles, was launched in 1992 and has consistently embraced immersive computing to train the world's astronauts. Back in September, Miralles gave the public a peek (see image below) at her experiments with the Magic Leap One in the laboratory. The Beyond crew also used the HTC Vive and the new VIVE Tracker (attached to their hands) to train for the new mission. Parmitano and his team, which includes Russian cosmonaut Alexander Skvortsov, will launch on July 6 and conduct experiments on the ISS for roughly six months. 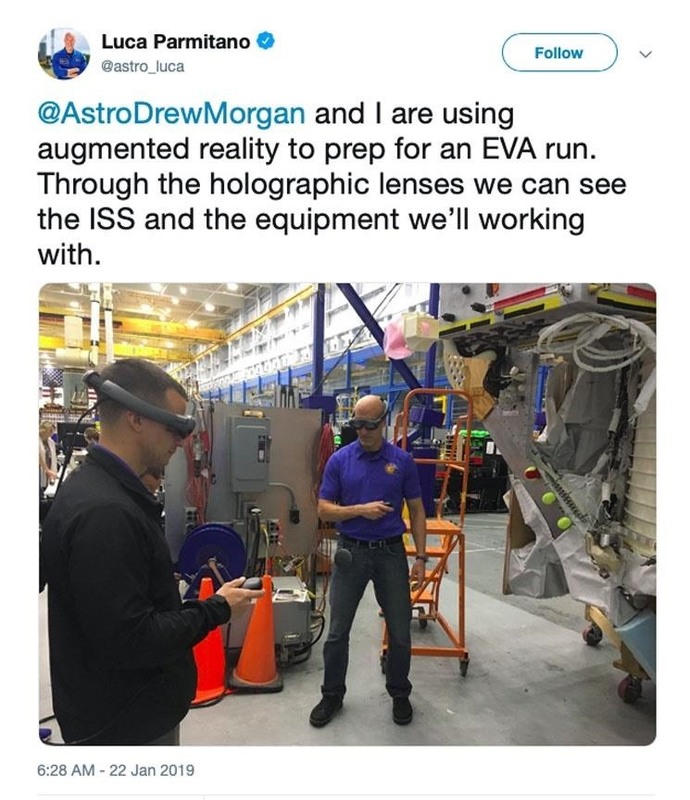 Although we've seen NASA crew members use the HoloLens in the past to prepare for missions, this appears to be the first time we've seen them utilize the Magic Leap One for real training. And while Microsoft's recent military contract means it likely has a lead with the US government, this recent exposure for Magic Leap can only boost the startup's appeal among potential enterprise customers who look to NASA for leadership in the way next-generation precision computing devices.